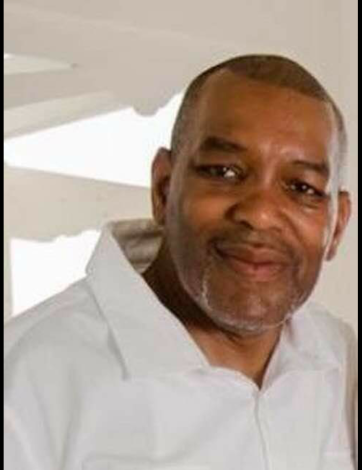 On Thursday, November 22, 2018, Mr. Sandy Lamar Griffin, Sr., loving Husband and Father of six children transitioned to be with the Lord at the age of 59. Sandy was born on January 25, 1959, to the late Samuel and Gloria Harris Griffin. He received his High School Diploma from John F. Kennedy High School. Sandy met and was married to his soulmate and best friend, Leslie McCall for over 32 years. Together they raised 3 Sons: Douglas, Roosevelt, Sandy, Jr. and 3 Daughters: Destiny, Amber and Octavia. He was employed with Kingsboro Psychiatric Center in Brooklyn, New York for over 25 years until his passing. Sandy was a man of many hats who had a passion for helping people. Auto mechanics, he didn’t mind teaching his craft to others, and he enjoyed playing sports as well. He also loved cookies, pies and cakes. If you ever met him, you would have loved him. Sandy was a great Father, Brother, Uncle and genuine person that had no limit of where he would go for anyone. A true definition of a great man. In addition to his parents, Sandy was also preceded in death by Two Sisters: Denise Griffin and Irene Griffin.